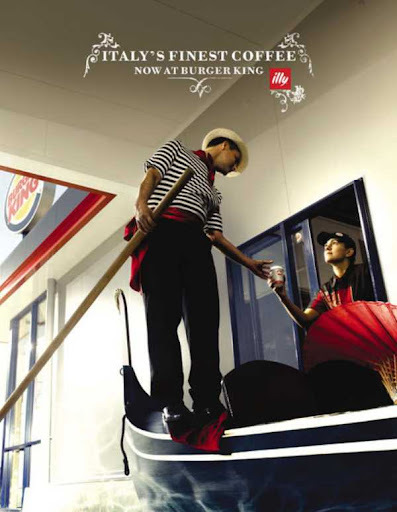 Now in Burger King submit real Italian coffee Illy. Such real, that behind it coffee come (and Italians come) even. 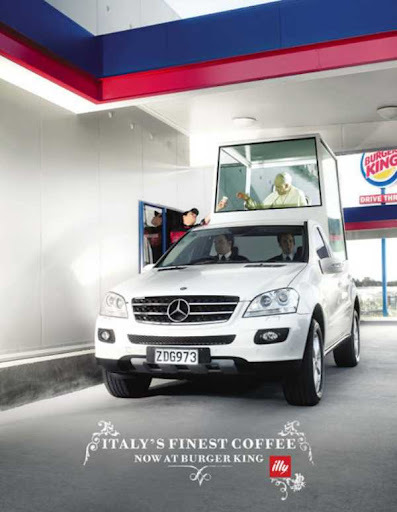 That it was clear, that it is Italians, advertisement makers have represented some the is axiomatic-Italian characters: the gondolier, the Pope and the Mafiosi with the hostage. By the way, real Italian coffee (mark Paulig) submit and at restaurants of main competitor BG — McDonalds.